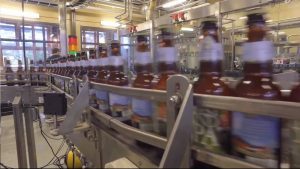 Smuttynose Brewery in New Hampshire uses clean energy incentives to succeed. In New Hampshire, the clean energy economy is at a crossroads. On one hand, the legislature and governor remain ambivalent at best about clean energy and its role in our state moving forward. But local businesses are confident that renewable energy and energy efficiency choices already are making a positive impact. And many are calling for clean energy policies in the state to be strengthened. Several owners were kind enough to share their time and explain what clean energy means to them and their businesses. Through a series of videos, Environmental Defense Fund (EDF) is now sharing those stories with lawmakers, fellow business community leaders, and the clean energy sector. Last fall, EDF sought out businesses that were growing, competing, and thriving in the Granite State with the help of existing clean energy policies. We worked closely with The Nature Conservancy, New Hampshire’s Community Development Finance Authority, and the NH Clean Tech Council. The search did not take long: Manufacturers; restaurants; construction companies and hotels; advanced manufacturing facilities; and Main Street mom and pops are investing in their competitive future with clean energy. Here are two samples of these enlightening clean energy videos. In this video, Gordon Cormack explains how his Madison company – Cormack Construction, a medium-size general contracting and construction management company – is hedging against fossil fuel price volatility with electricity and heating powered by the sun. Peter Egelston’s sustainability journey began with energy efficiency incentives from his utility; his Smuttynose Brewing Company facility is now LEED Gold certified, only the second brewery in the U.S. and the third industrial facility in New Hampshire to be recognized as such. Peter advises that more businesses need access to clean energy incentives and choice. As we enter spring, New Hampshire lawmakers are divided on major clean energy policies like the Energy Efficiency Fund and the Regional Greenhouse Gas Initiative. The public utilities commission is weighing the costs and benefits of large and small solar installations as it works to establish new net metering rules. The Governor is re-directing priorities in his Office of Energy and Planning and will influence how the state’s 10-year energy strategy is updated and implemented. Yet amidst this policy and political ambivalence, leaders in businesses large and small are voicing their desires, and demands, for clean energy choice and access. We’re listening, and our work with those businesses continues. We hope to continue sharing their stories with our elected leaders on these urgent issues, as well. Check out our other clean energy videos on YouTube, including Renewable Solar Returns $$ to Throwback Brewery, New Hampshire Ski Slope & Resort Saves Big with Clean Energy, and New Hampshire Taxpayers Win with Renewable Energy. This entry was posted in Clean Energy, Energy Financing, Renewable Energy, Solar Energy. Bookmark the permalink. Both comments and trackbacks are currently closed. Energy efficiency is an important first step. Too bad the BIA and Governor Sununu promote and support fossil fuel deals with those same utilities supporting energy efficiency and the state threw $25+M into fracked gas in our State House and the City of Concord completely ignoring the no-cost offer from Green City Power to renovate the Concord Steam biofuel plant and save NH forestry jobs. Solar is booming in #NH. #NHoffshorewind would provide tens of thousands of jobs and boost our economy, but Governor Sununu is pushing pipelines and Northern Pass. We’ve reached 410ppm CO2. It’s time to be #FossilFree603.